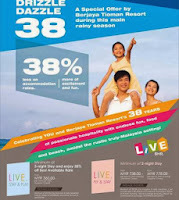 package includes minimum of 4D/3N stay inclusive of daily breakfast. 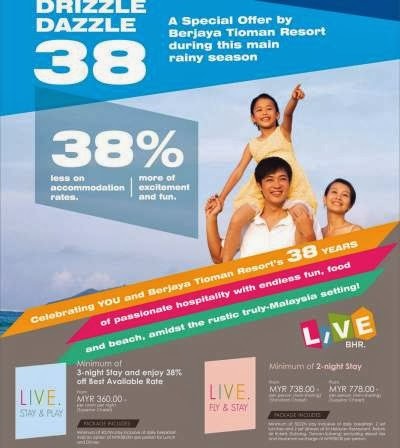 Add on option of RM38+ per person for Lunch and Dinner. package includes minimum of 3D/2N stay inclusive of daily breakfast. 2 set of lunches and 2 set of dinners at Sri Nelayan Restaurant. Return air tickets (Subang-Tioman-Subang) excluding airport tax and insurance surcharge of RM28 per person.